It was a massive leap forward in nuclear physics, but today Lise Meitner remains obscure and largely forgotten. She was excluded from the victory celebration because she was a Jewish woman. Her story is a sad one. Lise Meitner  (7 November 1878 – 27 October 1968) was an Austrian, later Swedish, physicist who worked on radioactivity and nuclear physics. Meitner was part of the team that discovered nuclear fission, an achievement for which her colleague Otto Hahn was awarded the Nobel Prize. Meitner is often mentioned as one of the most glaring examples of women’s scientific achievement overlooked by the Nobel committee. A 1997 Physics Today study concluded that Meitner’s omission was “a rare instance in which personal negative opinions apparently led to the exclusion of a deserving scientist” from the Nobel. Element 109, Meitnerium, is named in her honour..
Meitner was born into a Jewish family as the third of eight children in Vienna, 2nd district (Leopoldstadt). Her father, Philipp Meitner, was one of the first Jewish lawyers in Austria. She was born on 7 November 1878. She shortened her name from Elise to Lise. The birth register of Vienna’s Jewish community lists Meitner as being born on 17 November 1878, but all other documents list it as 7 November, which is what she used. As an adult, she converted to Christianity, following Lutheranism, and being baptized in 1908. Inspired by her teacher, physicist Ludwig Boltzmann, Meitner studied physics and became the second woman to obtain a doctoral degree in physics at the University of Vienna in 1905 (“Wärmeleitung im inhomogenen Körper”). Women were not allowed to attend institutions of higher education in those days, but thanks to support from her parents, she was able to obtain private higher education, which she completed in 1901 with an “externe Matura” examination at the Akademisches Gymnasium. Following the doctoral degree, she rejected an offer to work in a gas lamp factory. Encouraged by her father and backed by his financial support, she went to Berlin. Max Planck allowed her to attend his lectures, an unusual gesture by Planck, who until then had rejected any women wanting to attend his lectures. After one year, Meitner became Planck’s assistant. During the first years she worked together with chemist Otto Hahn and discovered with him several new isotopes. In 1909 she presented two papers on beta-radiation. In 1912 the research group Hahn-Meitner moved to the newly founded Kaiser-Wilhelm-Institut (KWI) in Berlin-Dahlem, south west in Berlin. She worked without salary as a “guest” in Hahn’s department of Radiochemistry. It was not until 1913, at 35 years old and following an offer to go to Prague as associate professor, that she got a permanent position at KWI. In 1922, she discovered the cause, known as the Auger effect, of the emission from surfaces of electrons with ‘signature’ energies. The effect is named for Pierre Victor Auger, a French scientist who independently discovered the effect in 1923. In 1926, Meitner became the first woman in Germany to assume a post of full professor in physics, at the University of Berlin. There she undertook the research program in nuclear physics which eventually led to her co-discovery of nuclear fission in 1939, after she had left Berlin. She was praised by Albert Einstein as the “German Marie Curie”. In 1930, Meitner taught a seminar on nuclear physics and chemistry with Leó Szilárd. With the discovery of the neutron in the early 1930s, speculation arose in the scientific community that it might be possible to create elements heavier than uranium (atomic number 92) in the laboratory. A scientific race began between Ernest Rutherford in Britain, Irène Joliot-Curie in France, Enrico Fermi in Italy, and the Meitner-Hahn team in Berlin. At the time, all concerned believed that this was abstract research for the probable honour of a Nobel prize. None suspected that this research would culminate in nuclear weapons. After the Anschluss, her situation became desperate. In July 1938, Meitner, with help from the Dutch physicists Dirk Coster and Adriaan Fokker, escaped to the Netherlands. She was forced to travel under cover to the Dutch border, where Coster persuaded German immigration officers that she had permission to travel to the Netherlands. She reached safety, though without her possessions. Meitner later said that she left Germany forever with 10 marks in her purse. Before she left, Otto Hahn had given her a diamond ring he had inherited from his mother: this was to be used to bribe the frontier guards if required. It was not required, and Meitner’s nephew’s wife later wore it. Meitner was lucky to escape, as Kurt Hess, a chemist who was an avid Nazi, had informed the authorities that she was about to flee. An appointment at the University of Groningen did not come through, and she went instead to Stockholm, where she took up a post at Manne Siegbahn’s laboratory, despite the difficulty caused by Siegbahn’s prejudice against women in science. Here she established a working relationship with Niels Bohr, who travelled regularly between Copenhagen and Stockholm. She continued to correspond with Hahn and other German scientists. Hahn and Meitner met privately in Copenhagen in November to plan a new round of experiments, and they subsequently exchanged a series of letters. 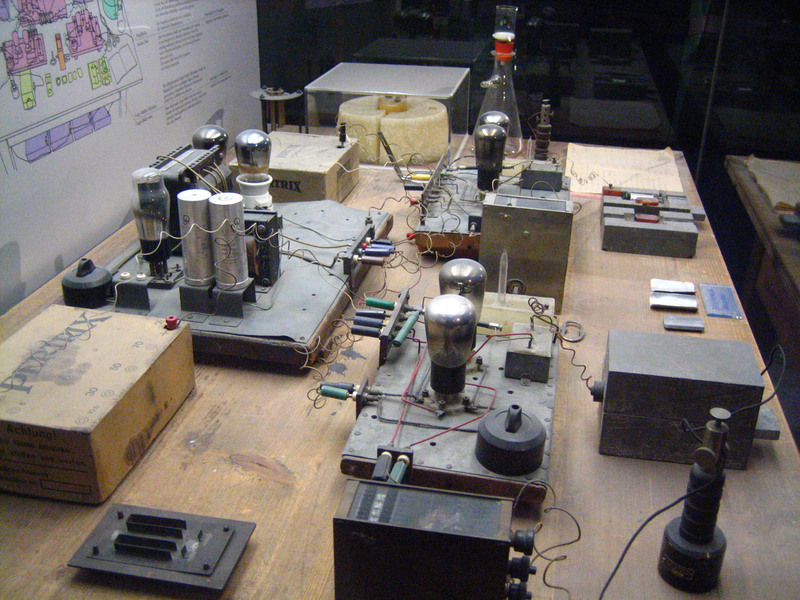 Hahn and Fritz Strassmann then performed the difficult experiments which isolated the evidence for nuclear fission at his laboratory in Berlin. The surviving correspondence shows that Hahn recognized that fission was the only explanation for the barium, but, baffled by this remarkable conclusion, he wrote to Meitner. The possibility that uranium nuclei might break up under neutron bombardment had been suggested years before, notably by Ida Noddack in 1934. However, by employing the existing “liquid-drop” model of the nucleus, Meitner and Frisch were the first to articulate a theory of how the nucleus of an atom could be split into smaller parts: uranium nuclei had split to form barium and krypton, accompanied by the ejection of several neutrons and a large amount of energy (the latter two products accounting for the loss in mass). She and Frisch had discovered the reason that no stable elements beyond uranium (in atomic number) existed naturally; the electrical repulsion of so many protons overcame the strong nuclear force. Meitner also first realized that Einstein’s famous equation, E = mc2, explained the source of the tremendous releases of energy in nuclear fission, by the conversion of rest mass into kinetic energy, popularly described as the conversion of mass into energy. A letter from Bohr, commenting on the fact that the amount of energy released when he bombarded uranium atoms was far larger than had been predicted by calculations based on a non-fissile core, had sparked the above inspiration in December 1938. Hahn claimed that his chemistry had been solely responsible for the discovery, although he had been unable to explain the results. It was politically impossible for the exiled Meitner to publish jointly with Hahn in 1939. Hahn and Strassman had sent the manuscript of their paper to Naturwissenschaften in December 1938, reporting they had detected the element barium after bombarding uranium with neutrons; simultaneously, they had communicated their results to Meitner in a letter. Meitner, and her nephew Otto Frisch, correctly interpreted their results as being nuclear fission and published their paper in Nature. Frisch confirmed this experimentally on 13 January 1939. In Sweden, Meitner was first active at Siegbahn’s Nobel Institute for Physics, and at the Swedish Defence Research Establishment (FOA) and the Royal Institute of Technology in Stockholm, where she had a laboratory and participated in research on R1, Sweden’s first nuclear reactor. In 1947, a personal position was created for Meitner at the University College of Stockholm with the salary of a professor and funding from the Council for Atomic Research. On 15 November 1945 the Royal Swedish Academy of Sciences announced that Hahn had been awarded the 1944 Nobel Prize in Chemistry for the discovery of nuclear fission. 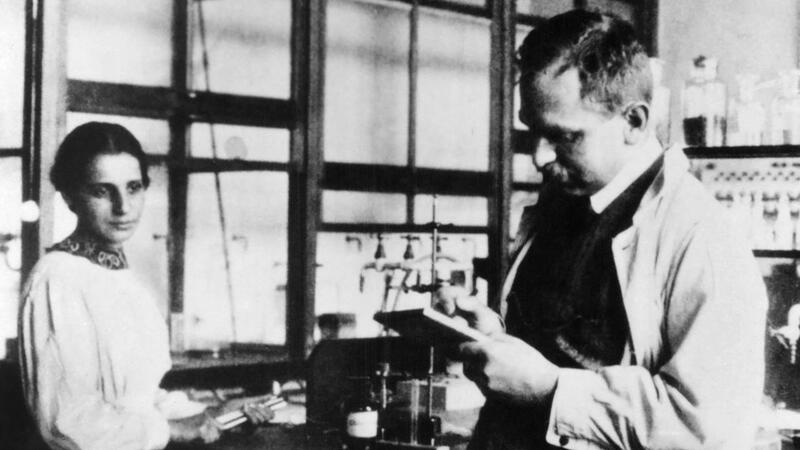 Some historians who have documented the history of the discovery of nuclear fission believe Meitner should have been awarded the Nobel Prize with Hahn. On a visit to the USA in 1946, she received the honour of “Woman of the Year” by the National Press Club and had dinner with President Harry Truman and others at the National Women’s Press Club. She lectured at Princeton, Harvard and other US universities, and was awarded a number of honorary doctorates. Lise Meitner refused to move back to Germany, and enjoyed retirement and research in Stockholm until her late 80s. She received the Max Planck Medal of the German Physics Society in 1949. Meitner was nominated to receive the prize three times. An even rarer honour was given to her in 1997 when element 109 was named meitnerium in her honour. Named after Meitner were the Hahn-Meitner Institut in Berlin, craters on the Moon and on Venus, and a main-belt asteroid. Meitner was elected a foreign member of the Royal Swedish Academy of Sciences in 1945, and had her status changed to that of a Swedish member in 1951. In 1966 Hahn, Fritz Strassmann and Meitner were jointly awarded the Enrico Fermi Award. Lise Meitner received 21 scientific honours and awards for her work (including 5 honorary doctorates and membership of many academies). In 1947 she received the Award of the City of Vienna for science. She was the first female member of the scientific class of the Austrian Academy of Sciences. In 2008, the NBC defence school of the Austrian Armed Forces established the “Lise Meitner” award. In 1960, Meitner was awarded the Wilhelm Exner Medal and in 1967, the Austrian Decoration for Science and Art. Public facilities such as schools and streets were named after her in many cities. 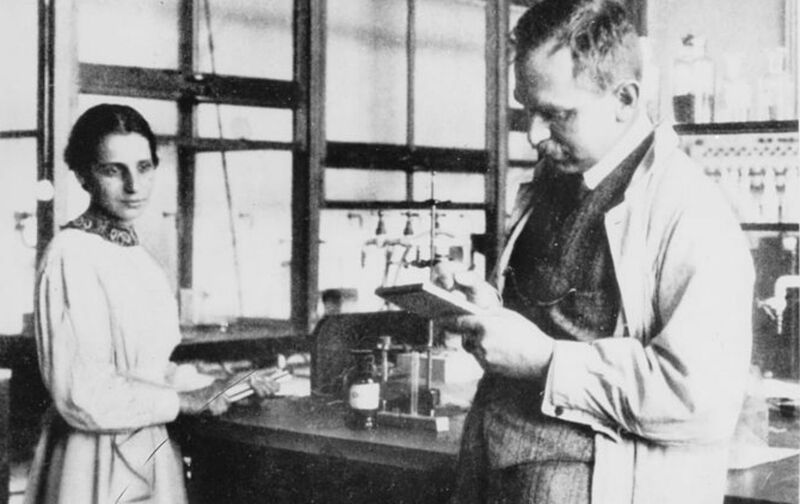 Hahn however wrote in his memoirs that he and Meitner had been lifelong friends. See the full article for 38 references with links. Nuclear energy offers the potential for creating reliable, carbon-free, domestically produced base electricity to meet rising energy demands. A dramatic expansion of nuclear power is already underway internationally, and U.S. domestic expansion of nuclear power is on the verge of becoming a reality. However, longer-term challenges remain in the areas of waste disposition, proliferation of nuclear technologies and materials, fuel resource management and fuel cycle economics. Left unaddressed, these challenges will prevent realization of the full potential of nuclear energy. The degree to which nuclear energy can sustainably meet long-term energy needs will depend on the development of advanced methods and technologies, together with implementation of sound domestic and international policies. Enabling Human Capital Development. In light of the relative hibernation of nuclear energy basic and applied research in the U.S. in the last 25 years, it is essential to rebuild the nuclear energy technology and science base. The U.S. nuclear workforce is aging and key legacy expertise is being lost at an alarming rate. Sustainability of any nuclear enterprise will require development of the next generation of nuclear scientists and engineers. Combined, the UC and its Laboratories uniquely posses the expertise to address all waste, safety, proliferation, security and economic considerations of the nuclear fuel cycle. The BNRC will foster an educational environment and, in close collaboration with the three UC National Laboratories, financially support unique research opportunities for the next generation of nuclear scientists and engineers. Creating Knowledge and Information to Inform National Policy Decisions. There are many diverse advanced fuel cycle concepts which have been proposed for achieving sustainability (enhanced waste disposition, safety, security, proliferation risk reduction and economic viability) of the nuclear energy enterprise. The complexities of interconnected environmental, safety and security considerations often make it difficult to develop policy consensus on the appropriate path forward. Through supported research and technical engagements, the BNRC will strive to disseminate clear science-based information and transparent insight into both the benefits and the challenges of proposed advanced concepts, and thus serve as a reliable resource for national policy makers faced with decisions on future nuclear research and development directions. Fostering International Collaborations. The U.S. and other developed nations have a shared responsibility to ensure nuclear energy expansion world-wide is done safely and securely, and cooperation on international design concepts and regulatory requirements is essential. Situated at the doorway to the Pacific Rim, and drawing upon close cultural ties and the long tradition of UCBÃ•s Asia-Pacific contacts, the BNRC will promote effective engagement with the Asian nations where international nuclear power expansion is most prolific. International engagements will be supported through continuation of the thematically focused UC Office of the President Nuclear Technology Forums, and the sponsorship of a major, annual Pacific-Rim Conference on Nuclear Technology Challenges and Opportunities at UC Berkeley. Fostering Campus – National Laboratory Collaborations. 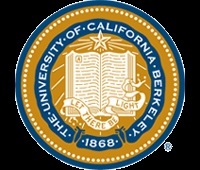 The BNRC will provide a mechanism for research and teaching engagements of National Laboratory scientists and engineers with the students and faculty in the UC Berkeley Department of Nuclear Engineering. This will enable the synergistic sharing of knowledge essential for spanning all aspects of nuclear fuel cycle development (e.g. NNSA laboratory scientists instructing on the fundamentals of international nuclear safeguards), and bring to bear diverse perspectives on the research and evaluation of advanced nuclear fuel cycle concepts. Attracting Resources and Building R&D Capabilities. Reenergizing the nuclear research and development necessary to address nuclear sustainability concerns will require the commitment of resources for computational and experimental efforts, and resources for vigorous continued engagements with international collaborators. Only through such efforts can U.S. policy makers obtain the basis for informed decision-making. The BNRC will work to identify sponsorship from federal agencies, industry and international community in order to extend its size and scope, and bring more researchers, scientists and international collaborators to Berkeley. The BNRC will identify the correct high-impact research efforts necessary to clearly answer compelling sustainability issues and provide advocacy for resourcing these key efforts. The tremendous energy and environmental stewardship demands facing the world will require multiple, contributing energy solutions. Nuclear energy can play a very significant long-term role if sustainability issues are appropriately studied, addressed and resolved. The BNRC will focus on development of the future generations of nuclear experts, new knowledge base, and requisite international collaborations and cooperation in order to promote the best sustainability solutions for the international nuclear energy enterprise. Rutgers, The State University of New Jersey, where Larry is in the Department of Physics and I was a student, is a leading national research university and the state’s preeminent, comprehensive public institution of higher education. Rutgers is dedicated to teaching that meets the highest standards of excellence; to conducting research that breaks new ground; and to providing services, solutions, and clinical care that help individuals and the local, national, and global communities where they live.